Your Cruise Questions Answered - GoingAbroad.org - Inspiring Around-The-World-Travel!GoingAbroad.org – Inspiring Around-The-World-Travel! For any of you that regularly follow my blog you will know that I absolutely adore going on cruises. I don’t mind whether I go on a short cruise across Scandinavia, a 2 week Caribbean dream cruise or if I simply go on a cruise from Southampton to visit Amsterdam for a few days, I love this way of traveling. Given my experience in this field of travel, I wanted to take some time out to answer some of the burning questions which many of you have about cruise vacations, and cruise travel in general. I get asked very often whether or not a cruise is a good place to take kids, and the answer is a resounding yes. Not only will the kids love being at sea for such a long amount of time, but there is so much on these boats to keep them entertained. Parents can count on kids’ clubs, cinemas, adventure areas and of course, lots of swimming pools. My only recommendation is that you check thoroughly with the cruise operator prior to booking, as not all ships are aimed at families. 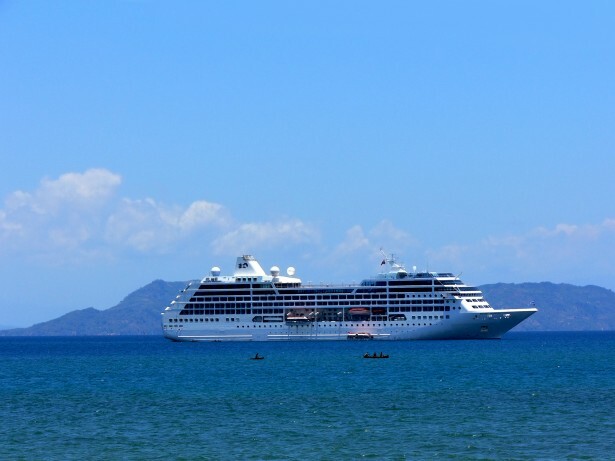 There is a common misconception that cruises cost heaven and Earth, but this is simply not the case. The reason why it appears that it will cost a lot is because you are paying for a full package. More often than not, you’ll find that tied in with the cost of a cruise is food and drinks each day, as well as the transport and the access to all of the destinations which you go to. When you consider how much is covered for your price, the cost is not very expensive at all. On almost every cruise ship that I have been on there has been a broad selection of restaurants and snack bars, all serving different items. Those with food allergies and specific dietary requirements are always very well catered for and looked after by the kitchen staff, so no need to worry about eating well on board, you most certainly will. If you do not know whether you are prone to motion sickness or not, the best bet is to take a product called Sea Bands with you. These subtle bands are placed on the wrists and below the knee, and they help to greatly reduce the symptoms of motion sickness. I can assure you that if you use this product, after a couple of days at sea you will be absolutely fine. How Do I Get Off in an Emergency? If you have an emergency situation back home and you need to get off the ship as soon as possible, the ship will make its way to the nearest port so that you can fly back. Cruise ships plan for this and are always aware of their nearest port. What I would say on this is that you must ensure that you have comprehensive travel insurance to cover the costs of the re-route, and of course the costs which you have paid for the trip. Any more questions you may have, feel free to write them in the comments section below.